Have questions about our appraisal process or our company experience? Check out our FAQ below, and if you still have questions contact us at anytime. We exclusively specialize and cover only Manhattan. Are you qualified to provide me with an official appraisal? 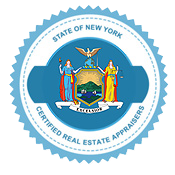 Yes, our appraisers are licensed by New York State to provide certified residential appraisals. Our staff experienced and knowledgeable appraisers with in-depth knowledge of the areas in which they perform appraisals. Is the appraisal report you provide going to be acceptable for my purposes? 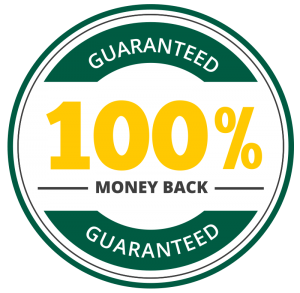 Our certified appraisals will be accepted by anyone, 100% money back guaranteed. Do your appraisers have MAI designation? Yes we have two appraisers in our company who hold the MAI designation. Which type of properties do you appraise? Our firm has been appraising real estate in Manhattan since 1984. We are proud to say that we have over 30 years of experience in appraising both residential and commercial real estate. Do you provide expert witness testimony? Yes, our appraisers have ample experience providing expert witness testimony for various legal cases. We charge an hourly rate which can be discussed with the appraiser directly. Purpose of appraisal, scope of assignment, how quick the client can turnaround required documentation, ease of accessing the property, etc. The turnaround time will be discussed and guaranteed when the engagement letter is drawn up.